Today’s epic meltdown was instigated by icy roads, multiple car accidents, and the forgetting of a blanket. The real problem was the blanket of course, but the icy roads and and ensuing accidents meant we were not returning home to retrieve it. Which led to 20 minutes of screaming from a child and an adult (that would be me), the throwing of all things unattached to his body (that would be him) and then tears. Lots and lots of tears (that would be both of us). As I tried to avoid hitting the person in front of me and simultaneously avoid being hit by objects flying at me from behind, I did not react in any way, shape, or form the way I should have towards the one I’ve been given to love. Some days I really hate Fetal Alcohol Spectrum Disorder and today was one of those days. After I dropped Zeke off at school, I took a few minutes to spew out all my feelings to God. You can imagine how lovely that was. Some prayers are a little louder and fueled by a little more anger than others. And then I realized a huge part of my problem is, and always has been, a hope misplaced. 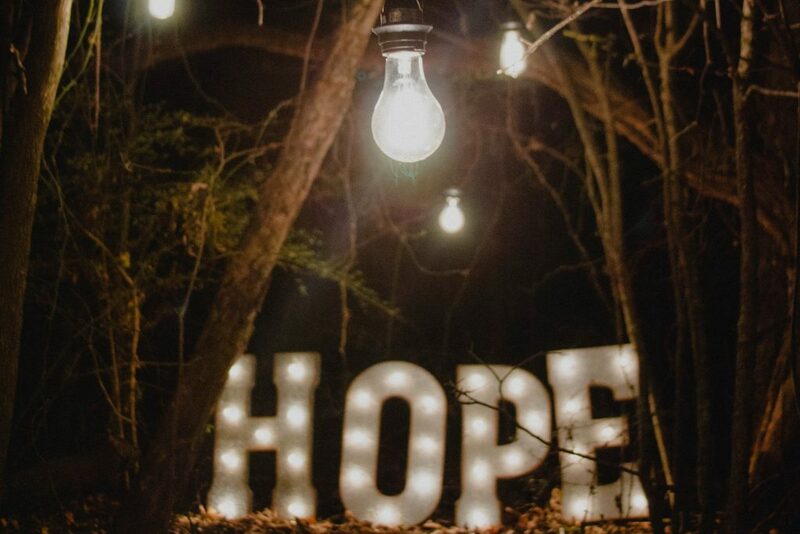 So often, we toss around the word HOPE. God has created us in such a way that without it, we are driven to despair. Even secularists have hope. They don’t hope in the same things as Christians, of course, but they must hope to live. Christians know the source of all hope and we know it has been, like all things, fulfilled in Christ. We sing hymns about hope being built on Christ alone; built on nothing less than Jesus’ blood and righteousness. I fully believe those hymns and yet I find myself fully living like my hope is elsewhere. I’ve found myself increasingly annoyed at Zeke in the past several days, because things that were once easily curtailed are no longer so. We are once again dealing with meltdowns and outright defiance over seemingly little problems, such as not being able to find a certain Hot Wheels car before bed or having to wash hands after dinner. Or throwing all out fits in church because his hat and mittens were left at home and for some reason he feels he must have them, even though he could have cared less about them an hour ago. Things that make absolutely no sense to the typical brain, but things that most definitely matter to a child with FASD. My hope has been in these things changing. In Zeke changing. As I drove home, I realized my hope has too often been in things changing. Lord, give me a husband. Lord, give me a child. Lord, please make my baby sleep through the night. Please help her eat. Make her stop fussing. Lord, get us into this therapy center or that school. Please make the endless tantrums stop. Help my son’s brain work. Give him friends. Heal my ear. Give me the ability to hear again. I could go on and on. My hope is in Jesus, yes, but not in Him alone. I’ve come to realize that too often it’s in Him doing what I want him to do. I live like my hope is in Christ alone taking away my problems. I live like my hope is in Christ working in my life to make it all better. I live like my hope is in the future, rather than today. There is an element of all this that is true and good. At times, He does exactly that. But if my hope stays there, I will continue to struggle with indwelt sin and I will despair here. That hope is misplaced. Yes, the Lord can change my circumstances. He can change my child’s brain to make life in general easier for him. He can. But more often than not, he doesn’t change what we think he should. No, he gives us what he wants us to have. He doesn’t change our physical ailments. He doesn’t change our financial circumstances. He doesn’t heal our child’s illness. He doesn’t change our disabilities. He doesn’t change the things we think need changing. Nor does he ever promise he will. He does change us though. He does change how we deal with what we are given. And that is where our hope belongs. It belongs in relying on Jesus to work in me to remove my sin. To give me peace and self control. To stop my urge to yell and scream like a toddler when things aren’t going my way. My hope belongs in knowing that the Lord will never leave me in the midst of whatever he chooses to give me. My hope belongs in knowing that God is faithful. He is faithful to make me steadfast in adversity. He is faithful to change me. And that will not be easy. But that hope will last a lifetime. Yes, well said and to all this I say Amen. Our hope is in God and not anything else. Well said and timely for these lick in days where tempers flare so easily.